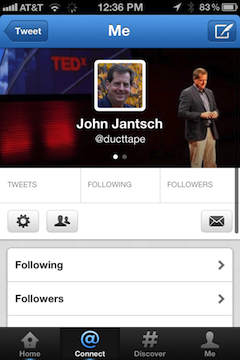 Tag Archives for " Twitter header "
Seems like it’s been eons since I’ve written about some change at Twitter, but this visual change is probably worth taking a look at. 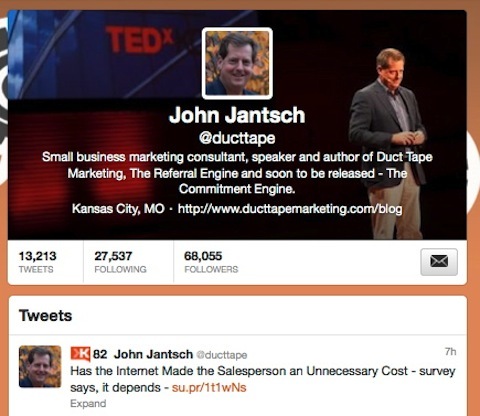 While we’ve always been able to create custom Twitter Backgrounds, Twitter has now added a custom header much like the Facebook Cover Image and Google+ Header. The image shows up at the top of the tweet column on your Twitter homepage and in the top of your profile on the mobile app. Adding the image is pretty straightforward, but there are a couple important considerations in terms of image layout.